My many years of experience have earned me an out-standing reputation, whether buying or selling. My proven results are backed up by my Master Medallion and President’s Gold Award, the highest honors of the real estate world. By selecting me as your agent, you are guaranteed professional and loyal service. My proven track record of over 3,600 successful sales in the last 29 years speaks for itself. I’m currently on my 25rd consecutive year as a M.L.S. Presidents Club member (Top 1% of all Vancouver Realtors). Furthermore, this year is my 27th consecutive year as a M.L.S. Medallion Club member (Top 10% of all Vancouver Realtors). For 2017, Congratulations from Member of Parliament for Richmond Centre : In congratulations on receiving the United Global Chinese Women’s Association of Canada Community Special Contribution Award. 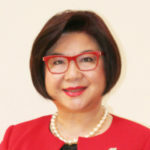 Alice Wong, P.C., M.P.